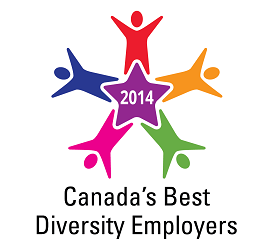 This is the ninth year of the annual Canada’s Best Diversity Employers, to recognize those organizations that have exceptional workplace diversity and inclusiveness initiatives. The prize, which is coordinated by Mediacorp Canada Inc., recognizes diversity in a number of areas, including programs for employees from five groups: LGBT people, women, aboriginal people, persons with disabilities and members of visible minorities. The project is a spin-off from the annual Canada’s Top 100 Employers initiative, which this year attracted 3,500 submissions from companies across Canada. From this, judges evaluated entries with regard to diversity and inclusiveness. This year companies as Accenture, Home Depot Canada, Deloitte, Hewlett Packard, Ontario Public Service, KPMG and the YMCA of Greater Toronto are all among the winners. Home Depot of Canada Inc.
All of them promoting diversity and inclusiveness... well done! 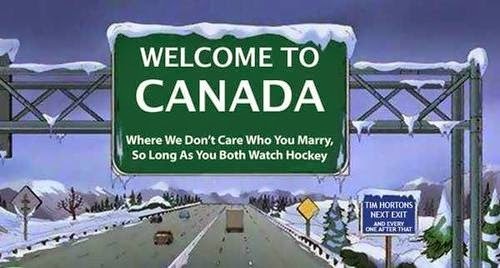 Love the "Welcome to Canada" graphic. What family means to you?